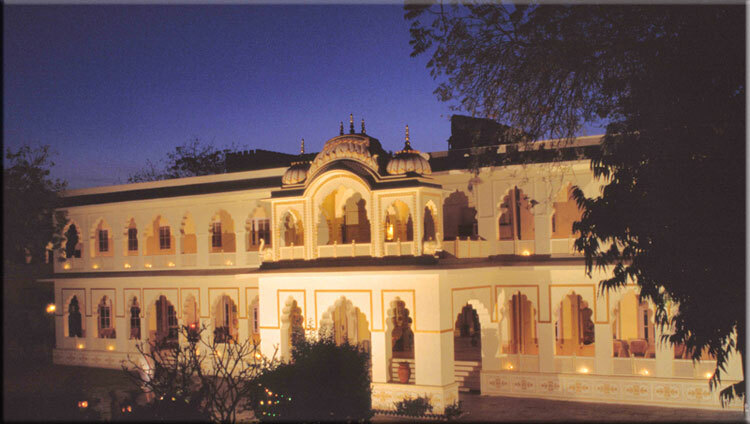 One of the finest heritage hotels in Jaipur, Hotel Bissau Palace is located 15 km from the nearest airport, 2 km from the closest railway station, and just a km from the bus stand. Situated at the entrance to the city of Jaipur, the hotel was built under the guidance of Rawal Raghubir Singhji in the year 1919. Restaurants :- There are two exquisite multi-cuisine restaurants at the hotel, serving delicious meals from Continental, Indian, and traditional Rajasthani cuisine. Among the two restaurants, Bhuwaneshwari is the main dining room for breakfast, lunch and dinner. The Pub :- Unwind with a choice of delightful wines and liquors at the well-stocked bar. Coffee Shop :- Enjoy a cup of freshly brewed coffee along with light snacks at the coffee shop. Jaipur, situated in the North Indian state of Rajasthan, is home to many historical places like the Hawa Mahal, the 18th century Jantar Mantar, the City Palace, the Amber Fort, the Rambagh Palace, the Jai Mahal, the Albert Hall Museum, etc. Popularly known as the Pink City of India, Jaipur has a famous shopping center, stocked with a wide variety of artistic handicrafts.